The following presentation was made at a regional IDEC conference. Click on the cover illustrations below to see the recent abstract. The Other Side of the Mask. T. Houser. Creative scholarship competition and presentation with published abstract. IDEC South Region Conference. Richmond, VA. Oct 2012. CAD and Fabrication: 21[to the third power] T.L. Houser and M. Oliveri. Presentation with published abstract. IDEC South Region Conference. Savannah, GA. Oct 2003. Computer-based Programming: More Output in Less Time. Presentation with published abstract. 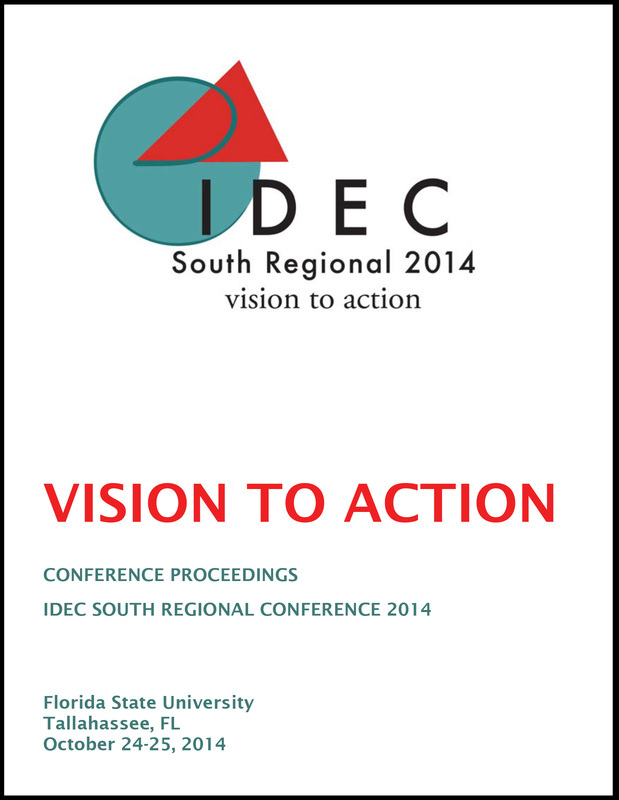 IDEC South Region Conference. Charleston, SC. Nov 1990.